Golfing allows participants to enjoy the natural beauty and landscape of an area all while practicing their swing. 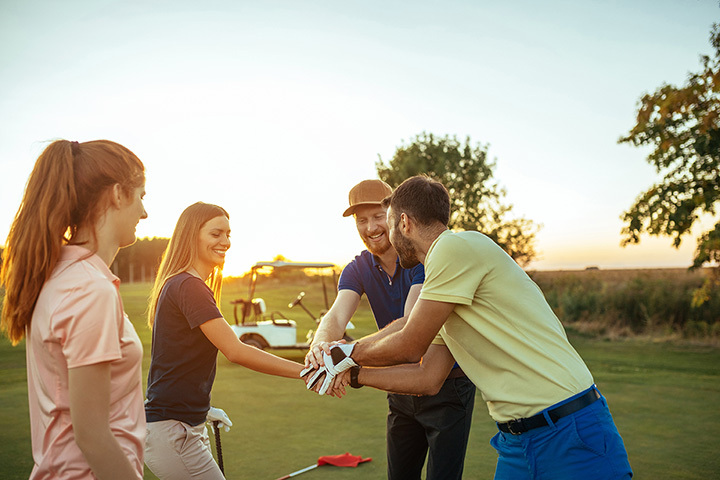 In West Virginia, you’ll find a variety of golf courses available to the public that cater to all levels of experience. Whether you are a beginner or a professional, you will find a course that offers what you’re looking for. Here are the 10 best public golf courses in West Virginia. Nestled in the foothills of the mountains, Riverbend Golf Course in Buckhannon, West Virginia, has changed over the last 25 years to become one of the best nine-hole courses in the state. At the course, golfers will find a well-maintained course, rentals, and a snack bar on site. If you’re looking for the perfect destination for a golf outing, look no farther than The Resort at Glade Springs in Daniels, West Virginia. This course is a premier 18-hole course with some of the most challenging and beautiful layouts, and is a regular listing on the best courses in the state. There are three courses, each with their own unique challenges, but everyone from novice to expert will enjoy playing here. If you like the idea of the challenge a rugged mountain layout can give you in a golf course, then you’ll want to travel to Raven Golf Club in Snowshoe, West Virginia. This beautiful course has plenty of unique hazards and the fairways and greens are kept very well. They have a driving range, practice area, bag storage, and a pro shop staffed by friendly and knowledgeable people. Sugarwood Golf Club in Lavalette, West Virginia, is the right place if you’re looking for a well-maintained course, friendly people, and decent prices. Open daily from sun up to sun down, tee times are available on weekends and holidays, and this club is always making the course better and offering assistance for golfers. They also have an indoor studio where you can get tips on improving your game using simulators and speed cameras designed to identify areas for improvement. You can talk to experienced golf pros in the onsite shop, and sign up for lessons. No hassle, no tee-time, and a quick grad a cart and go is what you’ll find at Woodbrier Golf Course in Martinsburg, West Virginia. There is a special rate on Thursdays and Fridays if you play the full 18-hole course and use a cart, and groups are encouraged. You can get a quick hot dog or burger at the snack bar, but it’s cash only, so come prepared. From novice to professional, this former mine site in the southern part of the state will surprise and delight you with the fairways and greens designed to challenge you every step of the way. Recognized as a “Top 50 under 50” course that can be played for under $50, Twisted Gun Golf Course in Wharncliffe, West Virginia, also hosts several tournaments and golfing events open to that the public. This amazing river-bottom course has water and bunkers that will challenge the best golfer. Valley View Golf Club, nestled near the South Branch Valley of the Potomac Highlands in Moorefield, West Virginia, is a favorite of new and long-time golfers and is known for friendly and helpful staff who will make your time there memorable. There is a new clubhouse on premises with a snack bar, shop, changing rooms, and a desk where you can relax after the game. This is not a course to be missed. Glenville Golf Club in Glenville, West Virginia, is one of those hidden gems in the state. A par 35 nine-hole course with some of the longest tees around, this semi-private club has a policy to always be open to the public. Used by local schools and host to a number of tournaments, this club has a putting green, practice area, and club and cart rentals. The fun little nine-hole course is great to play and priced very reasonably, even though it is a bit of a drive. There are unique challenges on the course, but no water or sand. And after a round of golf, you can find cold beer and fresh pepperoni rolls waiting in the clubhouse. Woodhaven Golf Course in Shady Spring, West Virginia, is another of the state’s most beautiful and well-kept courses and worth the drive. Every hole has a great view and challenges including water and bunkers, and the cost can be offset by late afternoon deals for VIP card holders. Part of the ring of courses that comprise Glade Springs Resort, the playing area is built using the natural terrain and tests the best player’s ability to execute shots.